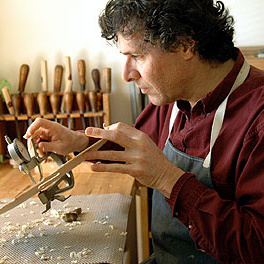 Samuel Zygmuntowicz, born 1956 in Philadelphia, was already a prize-winning sculptor before beginning his instrument-making studies at age 13. He studied violin making and restoration with Carl Becker and Rene Morel, and at the Violin Making School of America in Salt Lake City. - The auction record for this maker is $132,000 in Mar 2019, for a violin.